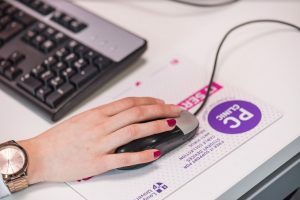 Would you like to share your thoughts and experiences of using the IT resources and facilities here at Loughborough University, and suggest any ideas for improvements? If the answer is yes, come and join the interactive student workshop being hosted by IT Services on Wednesday 22nd March. Everything from your experiences of connecting devices to Wi-Fi, ReVIEW lecture capture, computer labs, accessing timetables and Learn etc. will be discussed on the day – a great opportunity to have your say! All participants will receive a £25 gift voucher and will be provided with lunch, plus morning and afternoon refreshments. If you are available on Wednesday 22nd March and would like to take part, please complete the short form on the link below. Successful applicants will be contacted by the 16th March with the full event details! Please only consider applying if you are available for the date and able to commit to the full day. This entry was posted in IT, PC Clinic by Steven Lake. Bookmark the permalink.